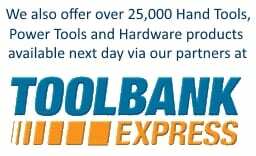 All products are available through our Trade Counter, Web Site and Catalogues. We endeavour to ensure that the prices displayed on the web site are correct. Should pricing errors occur we are not under obligation to provide products at the incorrect price. If an error occurs you will be contacted prior to despatch and advised of the situation. All prices quoted On- Line will be inclusive of Vat at the current rate. Products displayed at our trade counter and in catalogues will be ex Vat. You will receive a confirmation email upon receipt of order stating receipt of your order and the despatch information which confirms the contract between us. At times of unexpected high demand there may be a slight delay in despatch of goods we will keep you informed of any extended delays. You may contact us at any time to check the progress of your order. All goods supplied On-Line are offered on a payment with order basis. Payment can be taken from most credit and debit cards, cash and cheques are taken at our trade counter. All account customers are subject to our Standard Terms & Conditions of Business. You may cancel your order at any time prior to despatch. This to be by phone and confirmation of the cancellation will be given. Where applicable all items are covered by manufactures warranties, various manufacturers may also vary the length of such warranties and guarantees for various products. Some products with extended guarantees need to be registered with the manufacturer; this is your responsibility unless you have requested us to do this on your behalf. We will operate in a fair and ethical manner, if mistakes happen and we are unable to fulfil your requirement you will be contacted and the situation explained. In these rare situations the order will be refused and a full refund made. We are not legally responsible for any failure to supply that may be subject to strikes, wars, acts of terrorism, business interruption like power cuts or any failure that is outside our control. Certain items require purchase by over 18 years old, by ordering you are confirming that you are over 18 and the person receiving delivery is also over 18. Nothing in these terms of business should affect your legal right or limit our legal responsibility for death, personal injury of fraudulent misrepresentation resulting from our negligence, or any other liability which we cannot limit or exclude by law. We will not compensate for delivery delays of failures that are outside our control. We will not be legally responsible to you for any losses which both we and you could not expect at the time you bought the goods. If you are a trade customer we will not be legally responsible to you for any business losses. These terms of business are governed by English Law and any disputes will be dealt with by the English Courts. The cost for deliveries outside Mainland UK will be quoted upon receipt of telephone order. We do not deliver to Ireland. Customers in Ireland wishing to purchase products featured on this website should contact us. If you have any queries relating to the delivery of your order you can contact us on 01432 266 621. The cost for deliveries outside Mainland UK will be quoted upon receipt of order. We do not deliver to Ireland. Customers in Ireland wishing to purchase products featured on this website should contact us. We at Metal Work Supplies Ltd aim to provide you with as much information as we can about each product so that you can make an informed purchasing decision. However, to give you additional confidence, we will allow you to return any item if it is not what you require within 30 days of receipt as long as it has not been used and is returned in its original undamaged packaging. All you need to do is to contact us on 01432 266 621 and we will issue you with a Returns Form and Returns Code, explain our simple Returns Procedures and discuss with you the easiest and most convenient way for you to return the item(s) to us. You should then return the item(s) to us by the agreed method together with a completed Goods Return Form . Unfortunately we cannot accept proof of posting as confirmation of delivery.